This May 1 will be Ellis Island Los Angeles’ 50th anniversary. You can find more about the Ellis reunion at my Facebook fan page. 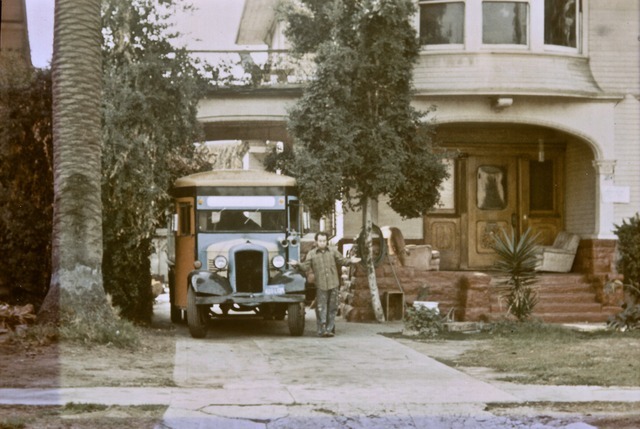 My times and stories animate the early 1970s of the urban commune in a three-story Victorian mansion near the intersection of Adams and Hoover boulevards in south central Los Angeles. I’ve spent the last few weeks developing a mini-memoir for Robert Rush Riddle’s reunion book. Below is an excerpt of the memoir. Click on the links to my website with many more pictures and memorabilia. My activism continued while I was here. In April 1972, some of us went to the March to McArthur Park organized by UCLA Committee for New University. It was a circus. People in costumes, a character calling himself General MacArthur with rockets on his epaulettes. Weed. Fun. And we managed to eventually stop the damn war by speaking out.